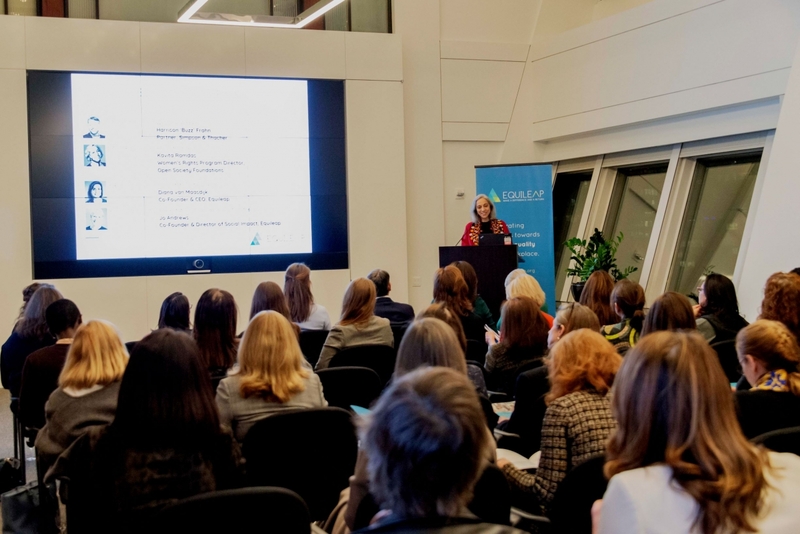 NEW YORK & SAN FRANCISCO, February 22, 2019 /3BL Media/ - Equileap, a global organization seeking to accelerate gender equality in the workplace, has ranked the largest companies in the United States in terms of commitment to gender equality. General Motors ranked second in gender equality among companies in the S&P 100 Index and was the only leading U.S. company with no overall gender pay gap (less than 3 percent). The special report, Gender Equality in the U.S.: Assessing 100 leading companies on workplace equality including healthcare benefits, is a world-first measuring companies based on 21 criteria, including employee access to comprehensive healthcare. Equileap’s research shows that companies are making progress in having a gender-balanced workforce but have a lot to do in terms of bringing gender balance to senior levels of the company. GM is one of only four companies with a gender-balanced board at the time of the study, along with Starbucks, Wells Fargo and ConocoPhillips. You can’t change what you can’t measure: only one company in the S&P 100 published information related to its gender pay gap or gender pay parity. General Motors scores full marks for having no overall gender pay gap (less than 3 percent) and for providing equal pay for equal work at all levels within the company. 19 companies publish a strategy to close their gender pay gap. The #Metoo effect: 71 percent of companies have an anti-sexual harassment policy in place, the highest levels of such a policy recorded in any Equileap research. 81 percent of the companies have a supplier diversity program that supports women-owned businesses, compared to 23 percent for the global benchmark. Last October, GM was ranked as the leading company in the world for gender equality in the workplace in Equileap’s annual global study. 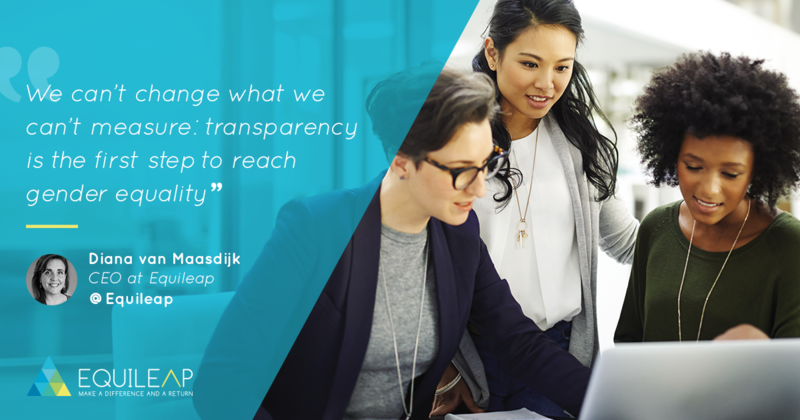 Equileap researched and ranked top public companies across 23 developed countries, 3,206 in all, ranking 200 top companies making progress toward gender equality. The 21 criteria encompass gender balance across all levels of the company, parental leave, equal pay, policies as well as access to healthcare including family planning and maternal health. Unlike any other equality research, Equileap uses the world’s first in-depth cross-sector ranking system to assess and monitor thousands of companies across the globe. For this special report Gender Equality in the U.S., Equileap used its proprietary Gender Equality Scorecard of 19 criteria (including gender balance at all levels of a company, career development, work-life balance, equal pay, family leave and health and safety) in addition to two healthcare-related factors, to rank the companies within the S&P 100 Index. All data collected is based on information that the companies themselves make publicly available, except for healthcare plan-related questions, where internal information was also accepted as it is often subject to confidentiality. A more detailed methodology can be found in the report. 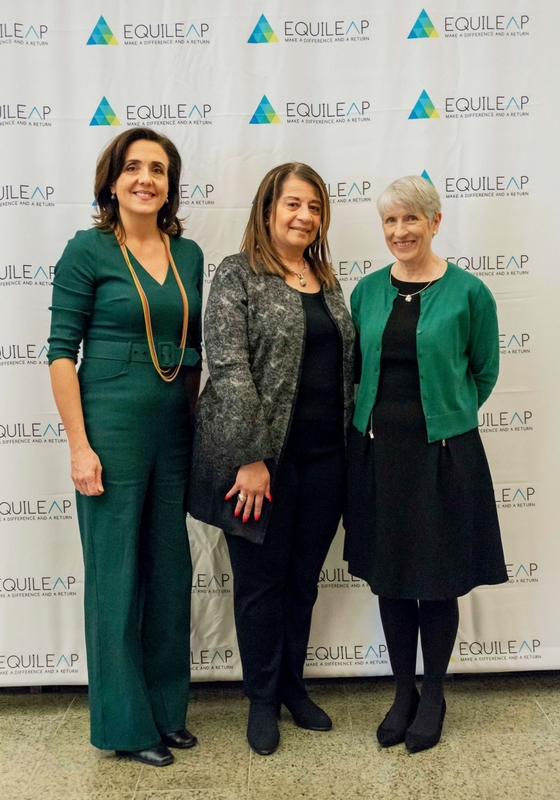 Equileap is an organization aiming to accelerate progress towards gender equality in the workplace, using the power of investments, grants and knowledge. Headquartered in Amsterdam and London, the organization is a registered charity and all profits are used to support women through social impact projects that tackle the root causes of gender inequality. Equileap is the leading organization providing data and insights on gender equality in the corporate sector. Products & services are tailored for companies, governments and investors. To date, USD 620 million has been invested in financial products powered by Equileap data.